We had an absolute blast at Great Wolf Lodge & can’t wait for our next stay with them but until then…I wanted to answer some of the questions I got about Great Wolf Lodge in Grapevine, TX. 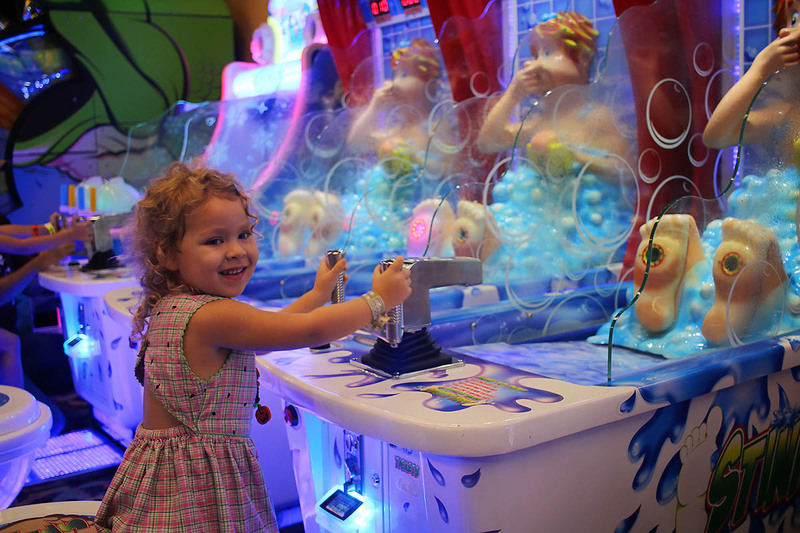 Is the indoor water park the only activity at Great Wolf Lodge? No! Far from it, this is the one thing that was most surprising to our family. 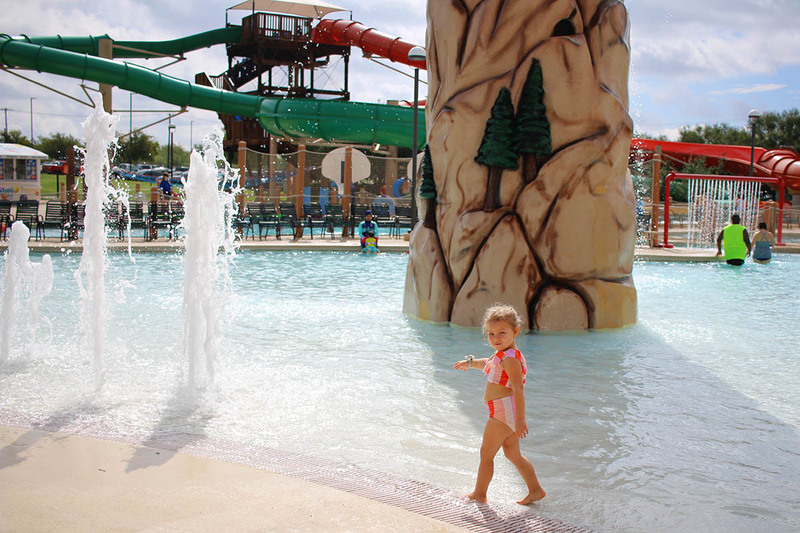 When I think Great Wolf Lodge, I automatically think of indoor water park…probably like most people. But they’ve got TONS of activities, an outdoor water areas with water slides, daily activities in the lobby with characters, bed time stories, dance parties, rope courses, Magiquest, an arcade…oh goodness I could just go on. 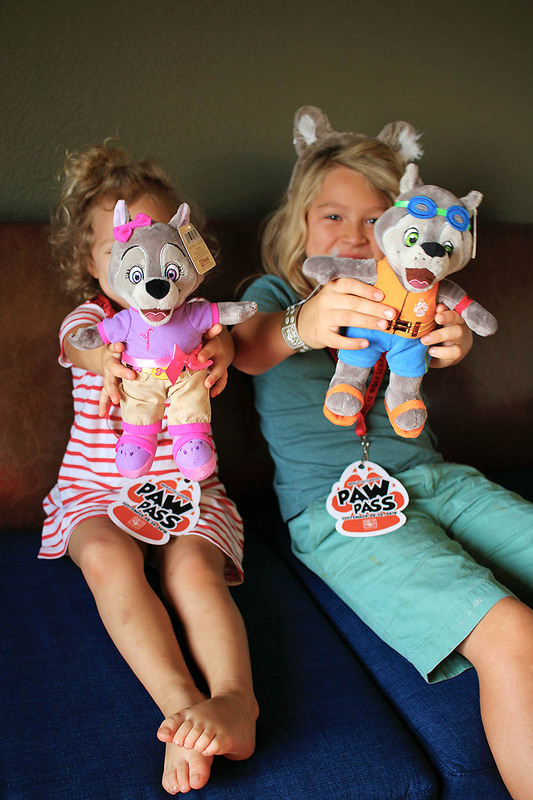 Is Great Wolf Lodge Paw Pass worth it? Yes! This is a great way to stay on budget actually, your kids will see exactly what activities to look forward to. I love passes like this because it sets up my kids & us for success by letting us all know what we are doing. The Paw Pass gives you access to their best attractions for one price. Is great wolf lodge fun for the adults? 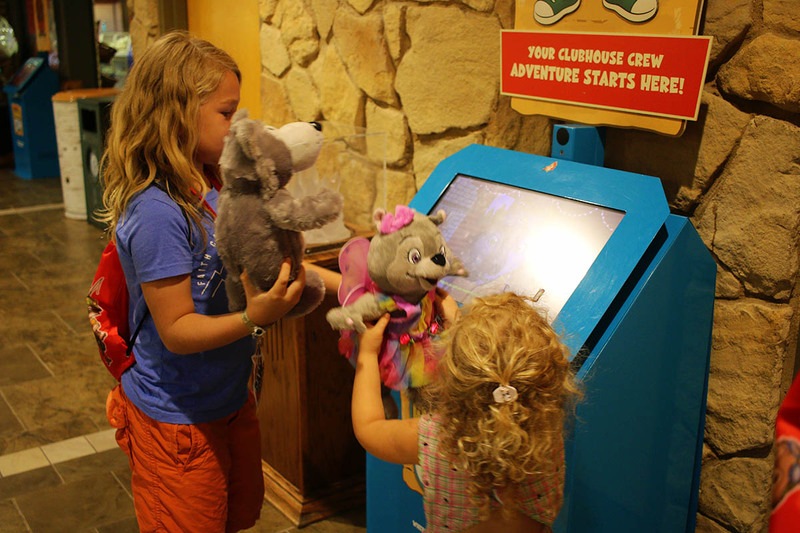 What is Great Wolf Lodge Magiquest? It’s the newest workout phenomenon..ha! Just kidding but be ready to put your steps in with this magical game that includes fairies, magical paintings & a Goblin King. You can take your wand home as a souvenir and bring it back to use over and over again with the purchase of new adventures. I recommend only buying one magic wand if your family is going to stick together during the whole game, some lines for things would get long & we’d have to go through the same process for each wand and I felt like we held up lines. Are the rooms at Great Wolf Lodge nice/big? YES! 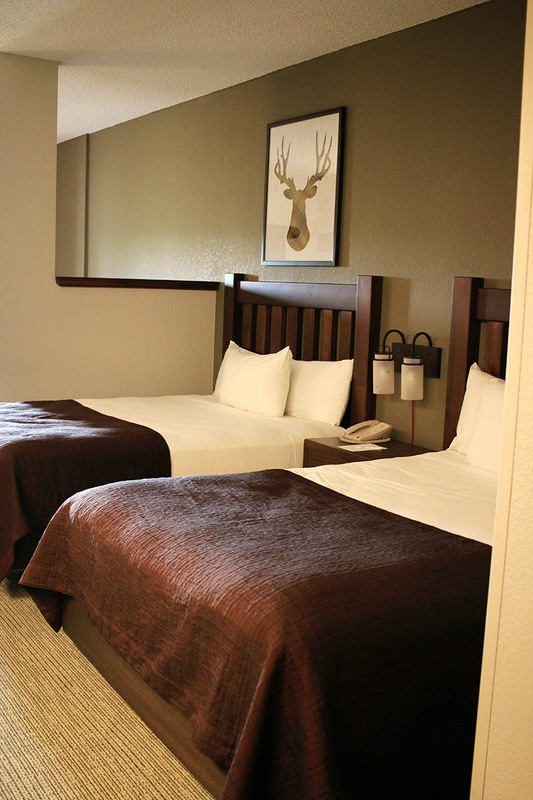 The standard room is SO roomy & the whole Great Wolf Lodge in Grapevine,TX is having their rooms spruced up to a more modern look. We got a sample of what was coming to the whole property. What is Howl-O-Ween at Great Wolf Lodge? An espicially spooky & wonderful time of the year! They were decorating during our stay & OH MY GOODNESS, I can’t even imagine how the whole thing looks because Great Wolf Lodge was already looking amazing! Howl-O-Ween offers a Trick-Or-Treat trail, monster bash dance party & spooktacular story time! Is the food at Great Wolf Lodge expensive? Is it good? So excited that they opened one a couple hours away from us! Perfect for a night or two away. It looks like a really super place for families! Looks like a fun, relaxing trip. 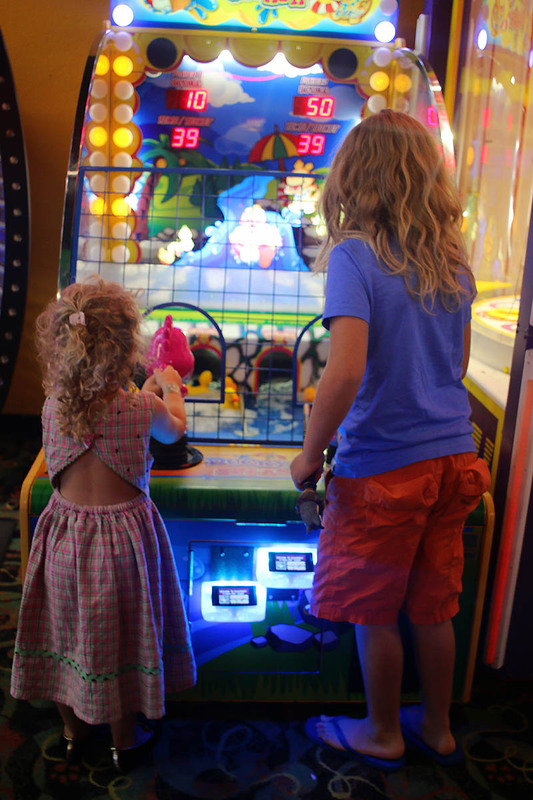 It looks like your kiddos had a great time! Sounds like y’all had a great time! Love that it’s family friendly…and that there’s an adults only area in the water park! I have been thinking of taking my kids here too. Thanks for the review! I’ve always wanted to go to a great wolf lodge, looks like a blast! The clothes are so cute and I love the blankets! never been to one of these lodges, but they look great for families! Looks like so much fun! I hope to take my family one day. I took my niece to the Great Wolf Lodge near Sandusky Ohio and she and I both had a blast. My nephews love Great Wolf lodge. We have a great wolf lodge in the state that I live in but I have never been. I’m going to have to take the family, I’ve always heard that it’s a great place. I’m glad you had a good time at the Great Wolf Lodge! The Magiquest sounds intriguing. What a fun place to stay! I can’t believe they have so many activities. Perfect for the family! Wow this place sounds and looks like it lots of fun. I know my grandchildren would love going there…. I wasn’t aware of Great Wolf Lodge. I’m talking to my husband about it as a potential vacation this year! I’ve heard about this place before and it looks like it would make for an amazing family getaway. Great Wolf Lodge looks like so much fun! It’s a perfect place for families, kids, and grandparents too! My family loves Great Wolf Lodge! Great review! This is definitely one of our goal vacations. I love that there is so much to do and adults have as much fun as the kids! We have a Great Wolf Lodge here in Wisconsin Dells. It’s always a great time taking the kids there.. If I’m ever in Texas, I will try to check this place out! What a great place to visit! So much fun! This looks like a wonderful place to stay. The rooms look so cozy. Great Wolf is so much fun! I have never been to Great Wolf Lodge but it looks really awesome there, and a lot of fun for the kids. We are planning our next family vacation here. This looks like a fun place especially for kids. This looks like a lot of fun! My kids would love going.